Preheat oven to 350 degrees. Clean and rinse chicken breasts. Sprinkle with salt, pepper, and garlic powder all over. Pour olive oil into a rimmed plate. And pour breadcrumbs into another rimmed plate. 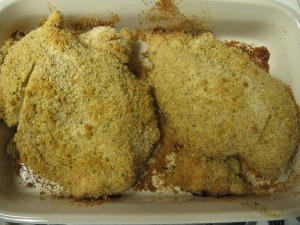 Drench each chicken breast in oilve oil, then roll in breadcrumbs. Place in a baking pan and bake for 30 minutes. 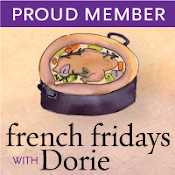 Risotto makes my list of “Perfect Foods.” It is a terrific base for so many ingredients. This version would be wonderful with shrimp added. Melt butter in a large saucepan. Add olive oil, onions, and garlic – sautee until onions are soft. 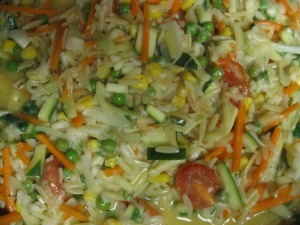 Add rice and orzo; stir until lightly browned. Pour in 1/2 can of chicken broth, stirring frequently until almost completely absorbed (but not dry). Repeat this process three more times. Pour in wine, and add all vegetables and spices. Continue to stir until risotto reaches desired consistency, then stir in cheese. 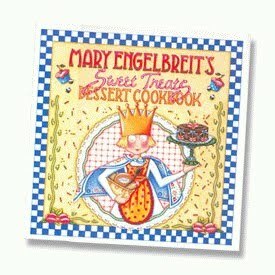 I used Mary Englebreit’s “Best All-American Chocolate Cake” recipe on page 82 of her “Sweet Treats Dessert Cookbook” and her “Chocolate Frosting” recipe on page 67. The cake is wonderful – it is made with sour cream which adds richness and a slight tang. The frosting is made like, and tastes like chocolate ganache which is all the frosting this cake needs. 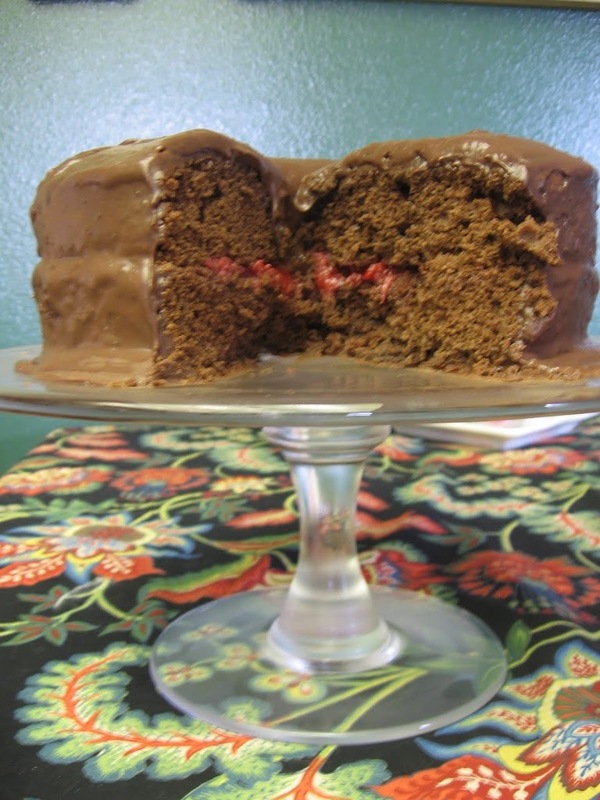 A word about cake baking…I use round cake pans with removable bottoms and line them with pre-cut parchment paper. And, a trick I learned from Dorrie Greenspan is to place the cake pans on air cushion cookie sheets while baking to help them bake evenly. I’d also like to say that cake mixes have come a long way. If you are pressed for time, use a cake mix, but make homemade frosting. Place strawberries, sugar, and lemon juice in medium saucepan. Dissolve arrowroot in warm water, then add to rest of ingredients in pan. Stir occasionally until sauce starts to thicken (this could take about 15 minutes). Mash some of the strawberries with a potato masher. 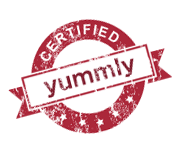 Cool sauce throughly – it will continue to thicken as it cools (you can speed the process up a bit by pouring into a bowl and placing in the refrigerator. This produced far more than we needed, so we saved the rest to use on pancakes. 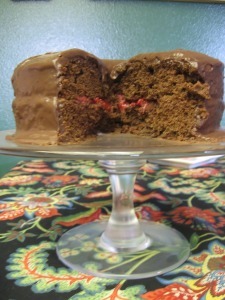 Place one layer of cake on a plate, cover with strawberry sauce to within 1/2 inch of the edge. Place second layer on top. Cover top and sides with chocolate frosting. I guess you’ll just have to come over so we can make some more!! !